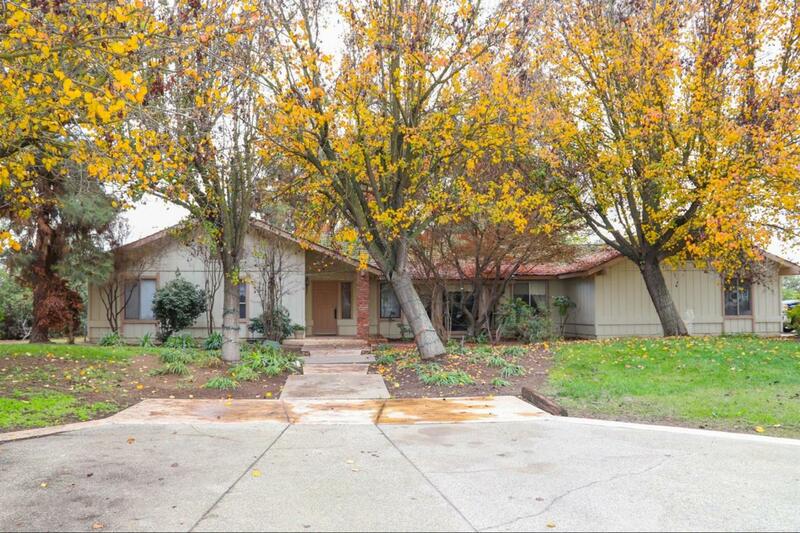 This lovely country property sits on just under 2 acres (1.960) and is very close to Polk Elementary (Central Unified) and is nestled around some large shaded trees. The long concrete paved driveway takes you to the large workshop that is about 2000 square feet so plenty of storage for you to enjoy. Home has a living room to the right that includes a formal dining room and is next to the kitchen. There is also a family room just off of the kitchen on the opposite side and has a sliding glass door that leads you to the backyard. Large master bedroom that has a sliding glass to the backyard. There is a huge space for parking with separate garage doors. Listing provided courtesy of Derek Vagim of Realty Concepts, Ltd.